Ballistics for the Survivor pistol. Click the button below to download. All data based upon a 12" barrel unless otherwise noted. 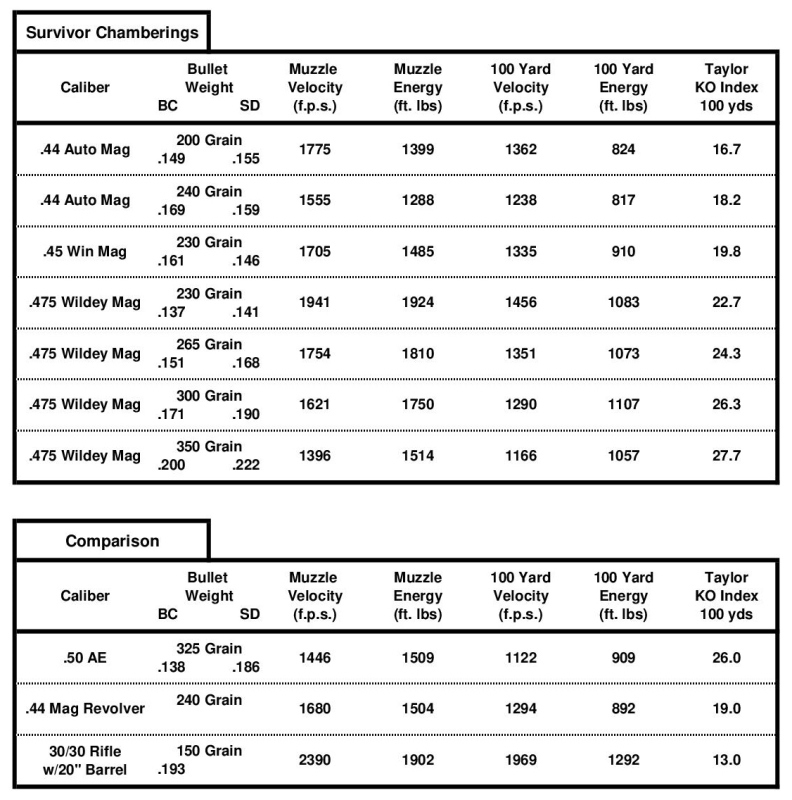 If handgun hunting is of primary consideration the Taylor Knock-Out Index helps distinguish capabilities. This index was developed by the famous African hunter, John Taylor, and blends the terminal values of bullet diameter and velocity. The index applies itself well to hunting with handguns, illustrating the value of big bores.